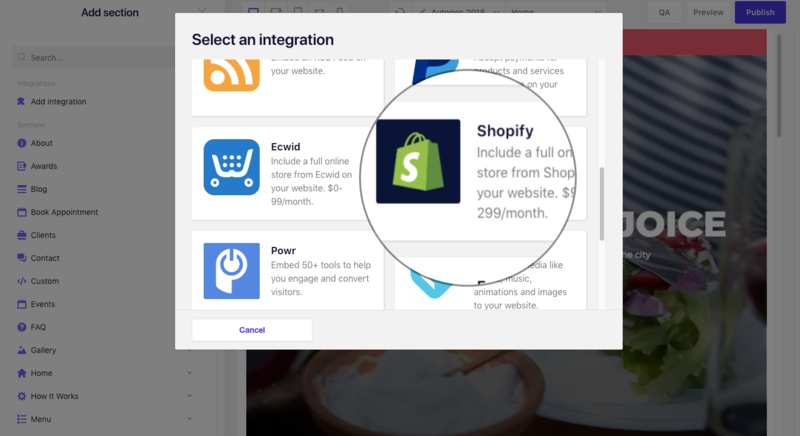 There are the steps that you have to take to integrate your website with Shopify successfully. From your Shopify admin, click Products to go to the Products page. 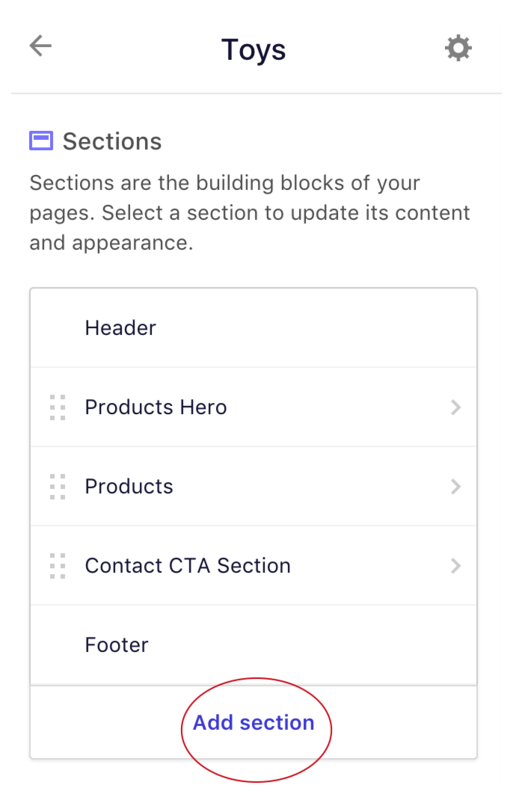 Having product collections will make it easier for your customers to find products by category. Examples of some categories that can be created are - Women's clothes, Men's shoes, Accessories. An automated collection uses selection conditions to automatically include matching products. You can define as many selection conditions as you want, and you can also specify whether products must meet all conditions or any condition to be included in the collection. When you add a new product that matches the selection conditions for a collection, it will be automatically added to the collection. If you're unsure, go with the manual collection! But it may be quite a bit of work if you have many items. From the Collections page, click Create collection. Enter the details for the collection. Firstly, you have to add a Buy Button sales channel. 2. Secondly, create a buy button. The buy button can be for a collection or a single product, so create this according to your needs! From your Shopify admin, go to Buy Button. From the Select a product dialog, select a product from your catalog or use the search to find a specific product. Click Select product at the bottom of the dialog. From the Create page, you can choose a template and customize the button's color, text, and appearance. 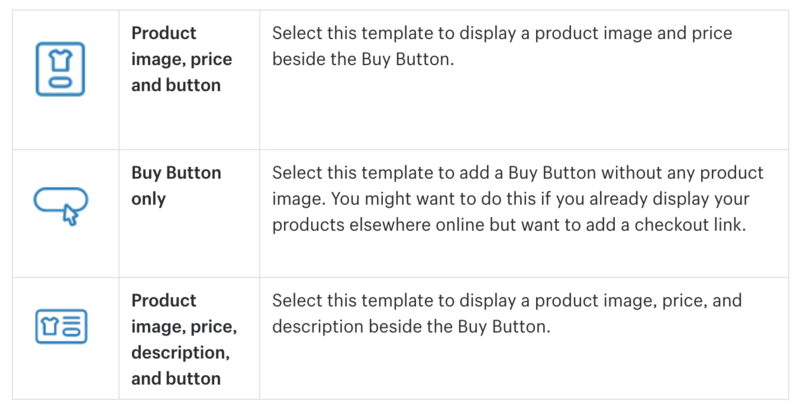 In the Template area, use the buttons to choose the layout for your Buy Button: Product image, price and button. 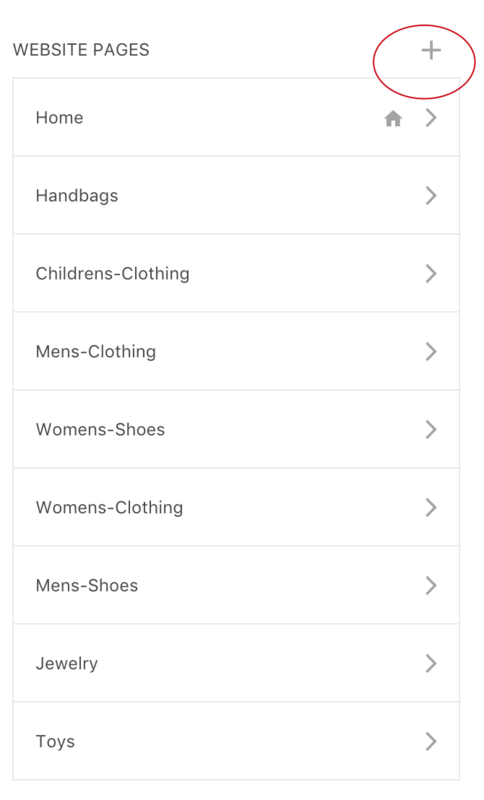 In the Action on click list, select what will happen when a customer clicks the Buy Button: Add to cart adds the product to the embedded cart, which your customers can open by clicking the cart tab on the left-hand side of the page.Direct checkout brings the customer to a checkout page, where they can purchase the product. 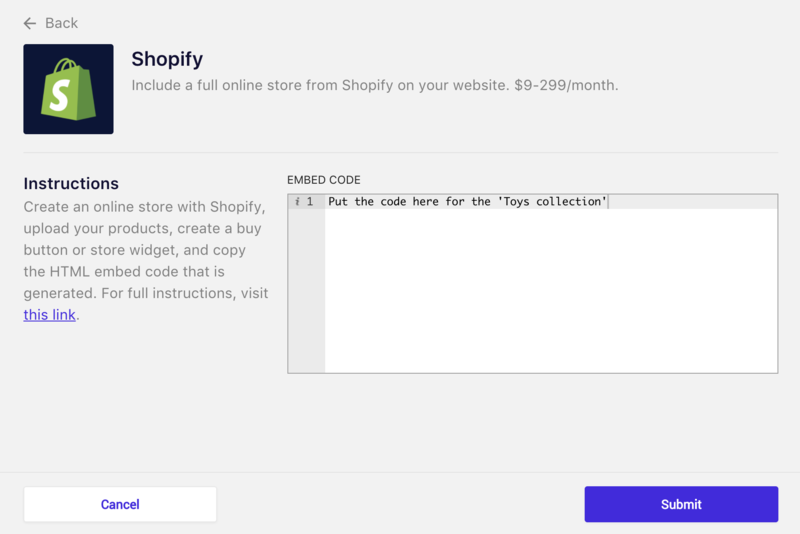 If a customer chooses this option, then they aren't able to add additional products to their order.Show product details displays a dialog with a description of the product, and an Add to cart button. If a product has multiple product images, then these will also display. After you choose a template, you can customize its appearance:Button style and text includes style and color options for the Buy Button.Typography includes font and color options for the text of the Buy Button and its product information.Shopping cart includes text and color options for the embedded shopping cart. >Note: >You can customize these settings later by editing the embed code. When you're done, click Generate code. 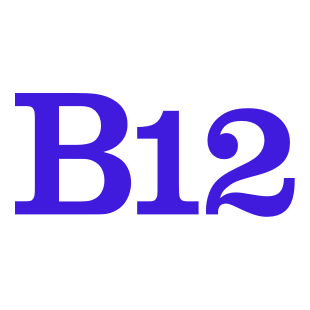 Now, hop over to B12 and let's get this Buy button on your site! Go to 'Pages' and add a new page. Let's add a new page for 'Toys' for this example. When you click the gear icon on the top right, you will be able to rename this section. 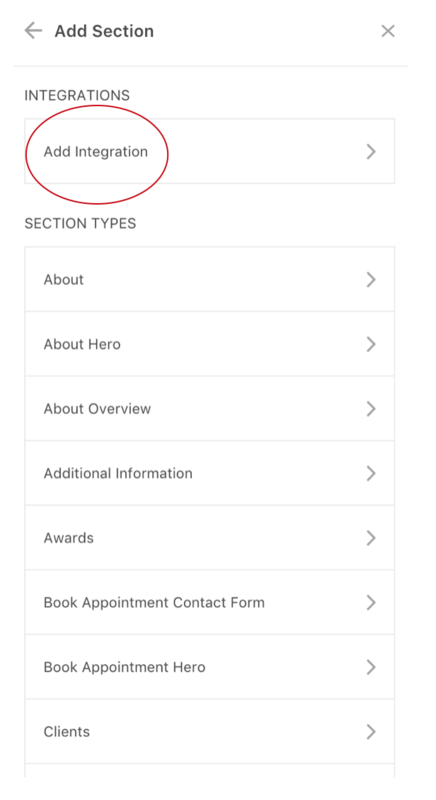 Click on 'Add section' to add a new section for this page. Remember the code that you have generated earlier? Put it in the 'Embed code' section, hit 'Submit' and you're good to go! If you're still not sure, watch the video here!